With bold and distinctive styling, luxury details, and thrilling performance, Jaguar vehicles provide an unparalleled driving experience. 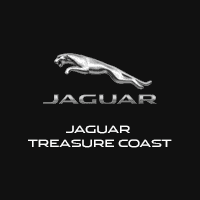 At Jaguar Treasure Coast, we think you deserve a car buying experience that matches. With speedy service and individualized treatment, we work to earn customers for life in Fort Pierce, Florida. With a lineup that ranges from the sporty Jaguar F-PACE and Jaguar E-PACE SUVs to the agile Jaguar XF sedan, our local car dealership has options that can meet the needs of any luxury driver in our inventory of new cars for sale in Fort Pierce. And we offer exclusive delivery to your home or office for extra convenience. After helping you pick out your new ride, we can craft a personalized financing or lease plan around your needs. We also make it simple to save with a long list of current specials and lease deals. We carry a wide variety of used cars for sale in Fort Pierce. You can also count on our service team and parts department to help you keep your Jaguar running smoothly for years to come. With our extended service hours, you can take care of your Jaguar on your schedule. Check out our current service coupons before you schedule your appointment. Make us your one-stop Jaguar destination. Discover our commitment to excellence in everything we do, because our priority is you. We’re located in Fort Pierce, Florida, but we serve customers from Port St. Lucie, Vero Beach, Stuart, Jupiter, and beyond. Contact us if you have any questions.